Polishcoaldaily‘s Founder and former Editor hosted in Polish Radio 24 to talk a little about the new act on steam coal parameters. 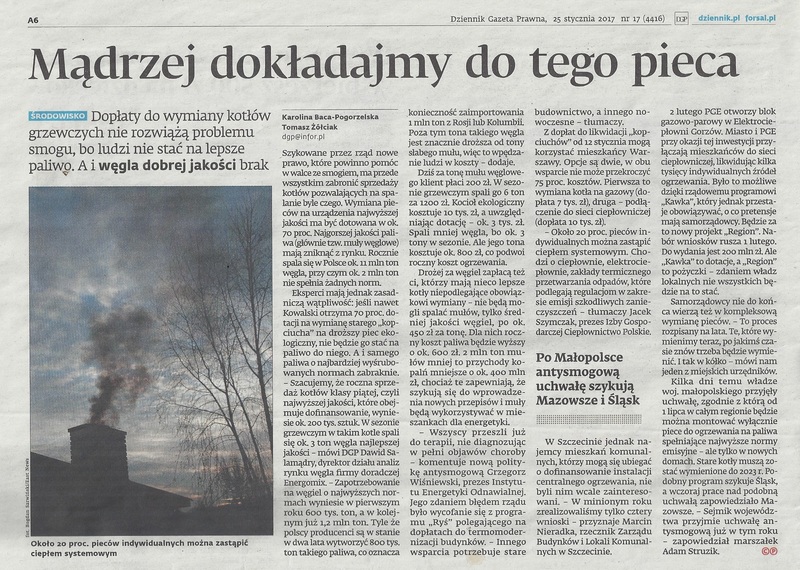 Is it really crucial in a fight against polluted air, is Dublin case (ban on coal sales within city limits) a good example for Poland and should minister Emilewicz incriminate Polish traders? Go to polskieradio.pl to listen to the audition [PL]. REO: WILL PHILIPS LEAVE POLISH MARKET?